Due to 2012 city budget cuts, all the community centers will be operated differently next year. Please attend these meetings to give your input and ideas on what you would like to see at your local center. 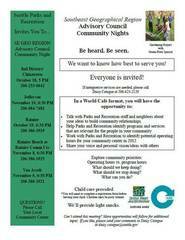 Rainier Community Center, 4600 38th Ave S, Wednesday Oct 19, 6:30pm. 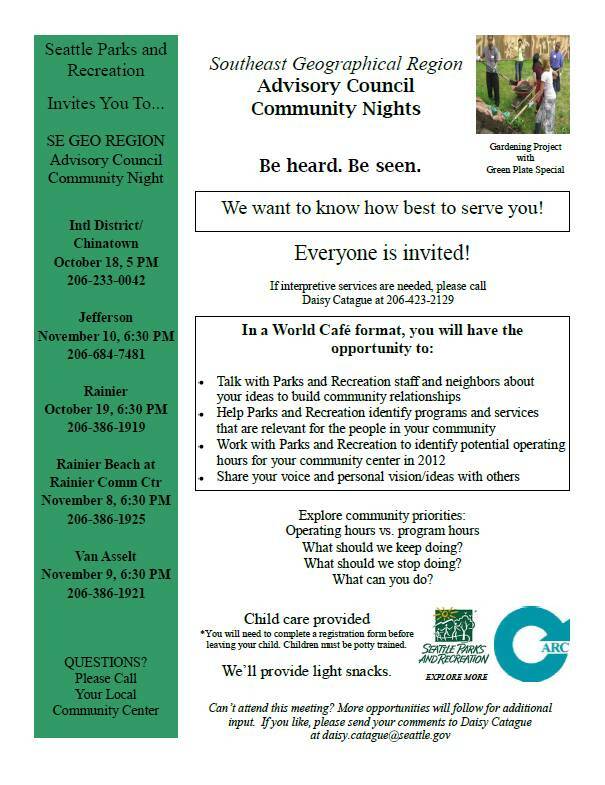 Click through to see attached flyer for dates and times of all the meetings in south Seattle.